The Hario brand is something of an icon in the specialty coffee community. 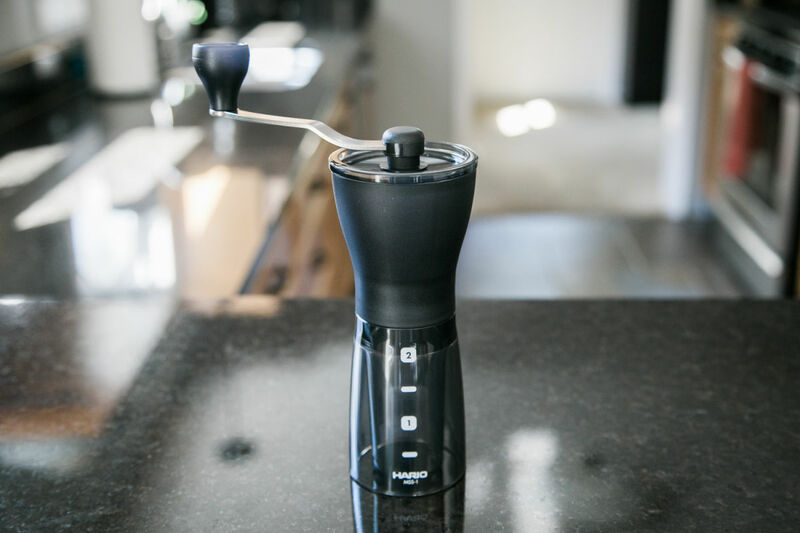 Known predominantly for the Hario V60 kit (a legendary brewer that makes sublime filter coffee), they are also the creators of a plethora of coffee equipment including for the sake of this review…the Hario Mini Mill coffee hand grinder. First introduced in 2011 and gobbled up by coffee lovers everywhere including myself, they brought a hand grinder that could grind coffee using burrs as opposed to blades for a more consistent better quality grind at value for money. Even today it remains one of the cheapest commercially branded hand grinders on the market. However, over time and not happy with even solid reviews of 4/5 on Amazon, Hario have given this classic grinder a makeover with the Hario Mini Mill Plus. Today coffee lovers…..I put the Hario Mini Mill Plus to the test to see if it holds its place in the speciality coffee hall of fame. For ease of review I’ve laid out the positives and negatives of the areas I think are important should you buy any grinder but also in relation to its predecessor. +It’s still one of the cheapest commercially branded grinders out there outside of its dated predecessor. 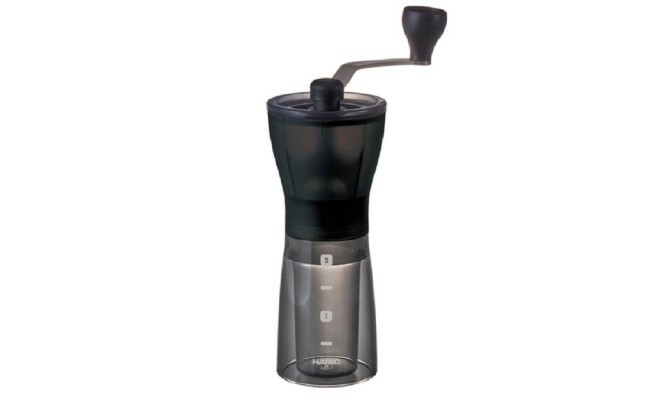 At £35 it under prices comparable burr hand grinders including the Porlex and Rhinoware grinders. 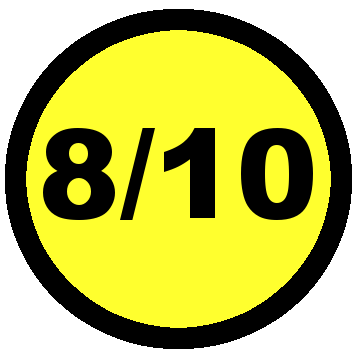 +Well designed it has retained its compact and lightweight demeanor alongside a stylish black colour way, perfect for easy transport and as a travel accessory. +It uses conical ceramic burrs to grind coffee that like its previous model are still the global standard for quality coffee grounds. +The reinforced grinder arm is a notable improvement to avoid grind slippage and breakage for an overall more durable grinder. +The grinder uses click settings to change grinder size from fine to coarse grounds dependent on your brew method of choice. -As expected with its lower value it doesn’t produce grounds on par with commercial grinders or higher priced hand grinders. Inconsistencies in grounds tend to show more with the coarser grinds. -As with all hand grinders it requires more patience and muscle to use the grinder arm. The Hario Mini Mill Plus may not have the wow factor from when I first used the original Hario Mini Mill, but it still holds true to its roots as a great value for money grinder. As with all hand grinders, muscle and patience are required to grind coffee and time will be the true test of this grinder. However, getting past the obvious this is not only a great entry product in terms of price and as a travel accessory, but also as an introduction to try better quality specialty coffee. Brands such as Hario who take the time to listen to customers and make improvements all deserve respect, which the Hario Mini Plus is a clear example of. For that reason I give this grinder a sold 8 out of 10 and in celebration of this we have procured a few for your grinding pleasure here. This entry was posted in Reviews and tagged hario grinder, hario mini mill plus.